Grand Mercure Jakarta Harmoni is strategically located in the heart of Jakarta's Capital City. Only 30' minutes drive to Soekarno Hatta International Airport. Near shopping center, embassy and offices. Grand Mercure represents AccorHotels's upscale brand tailored-made for domestic travelers and international visitors seeking a hotel experience that honors regional customs and blends them with unparalleled service. Strategically located at the Jakarta's CBD, near shopping centers and only five minutes from Presidential Palace, National Monument and Chinatown. Grand Mercure Harmoni offers an upscale accommodation solution for both leisure and business travelers. 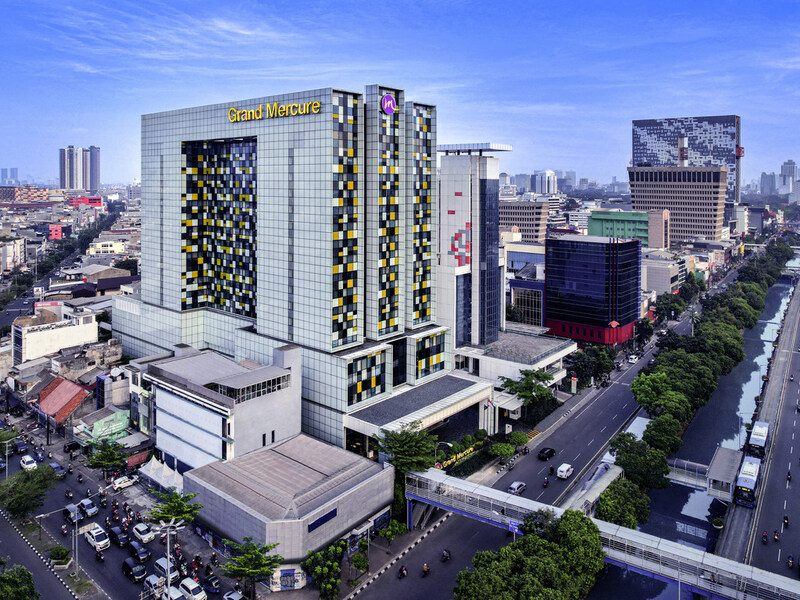 Grand Mercure Jakarta Harmoni is strategically located in the heart of Jakarta's Capital city. Only 30' minutes' drive (26 km) to Soekarno Hatta International Airport. Near Shopping Center, Embassy and office's. Han Palace is a family dining restaurant, specialising in Cantonese and Szechuan cuisine dedicated for gourmet lovers who are adventuring for a dining experience. It's a perfect place for business lunches, family celebrations or just everyday dining. The authentic coffee shop with elegant designed and built made to enhance your dining experience. Serves the sophisticated selections dishes and suggestion wines for your perfect dinner. Offers a casual yet elegant way to enjoy the signature cocktail list. The perfect place to relax after work in the bustling day with colleagues and friends featuring mouth watering and appetizing selections of drinks and snacks. Experience & enjoyable one-of-kind dining in place which offers incomparable view of Jakarta city. Savour the finest of an extensive collection wines in "Grands Vins Mercure" selection of beers, liquors and hardly not to crave the tempting cuisine.